A full 80's-style retro arcade. These are all real employee perks that companies have added in recent years. They're also employee perks that companies have killed off. It's easy to see why they added them. All sound great. Some are outright Millennial magnets. But for a variety of reasons, each was cut. Here's a hint: not just finances, in most cases. Not every benefit you add is going to be a home run with your team. The key is being able to know when it's time to cut it. Use these five criteria to evaluate when an employee benefit is no longer relevant or needed in your office. The costs outweigh the return. Seeing a high cost on a particular benefit? Of course, that's a sign you need to take a closer look. What are you getting for your dollars? Even better, what are employees getting for your dollars? Plenty of benefits are worth paying for, even if the returns aren't entirely obvious. Health insurance being the obvious example. But even a low-cost benefit doesn't deserve to stick around if it only looks nice, and has no real value. Frankly, if the returns are murky to measure but the costs are clear, it should be on the chopping block. Need help figuring out what the return is? Enlist the benefit provider in the cause to find clarity. The benefit provider is AWOL. That's right. When you agree to add a benefit or employee perk, you're not just buying something and walking away. You're entering into a partnership with another company. That partner should work with you through planning and implementation to ongoing maintenance and optimization. Work with them to set goals (usage or registrations, for example) and create a plan to reach those goals. Press them for details, measureables, and to help clarify their returns before and during your partnership with them. If they're unwilling to do this, or don't respond to your calls, send them on their way. The data is unclear, or invisible. In some cases you may not have a real grasp of what the return is. Forget how much it costs - it may not even be possible to measure its return. This doesn't mean it should be killed instantly, but it should cause some reflection and digging. In this case you'll need to survey employees to find out who's using it. What they think of it. If they even know about it, and if there's something else they'd rather have in their corporate perks mix. Again, this is a situation where you should press your benefits provider for more information. They're in this business to make money after all, and to keep earning your dollars they should be able to show what their benefit is doing for your employees. It's not really your culture. Benefits play a big role in a company's culture. It shows to a certain extent how much the company values employees, but also what types of lifestyles the company seeks to enable. Don't have a bunch of pet lovers? Pet insurance may not be needed. If you'd rather employees be sitting at their desks than chit-chatting about, you may not want to have free snacks and water stations. Put your free coffee pot in a low-traffic area that doesn't lend itself to loitering, for example. Instead, offer productivity incentives and extended break periods for those dutiful cubicle jockeys. An employee discount program plus investing options are appropriate if you value financial wellness . 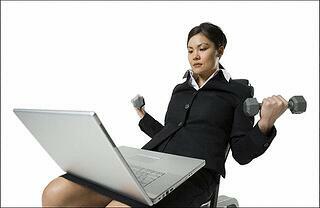 If you want a culture that emphasizes fitness, offer gym discounts or an in-house exercise facility. Base compensation is close across most companies. Benefits and perks are where you can be creative with how you're differentiated from everyone else. Employees just aren't into it. Ask for blunt feedback from employees. They'll have no problem letting you know how they feel about a benefit, especially if given anonymity. The important aspect here is to get a wide array of opinions, and not be swayed by the loudest voices in the room. Or course, outright killing the benefit may not be the best option. It simply may not have been given a fair shot. 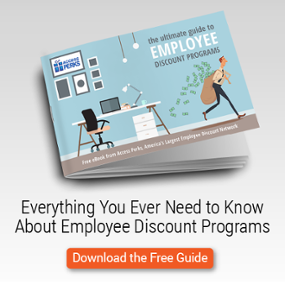 Perhaps most employees aren't even aware you offer a particular perk. In this case you have to think like a marketer and ensure employees know it's there and what it can do for them. Rely on your benefit provider for help, and be sure to mention it at company events. If possible, find a case study within your office - an employee using and loving the perk. Lack of usage can be remedied with some effort. A bad benefit will continue to be bad even as awareness grows. What is the difference between a great benefit and one that needs to go? The answer isn't always dollars and cents. You may add that full-service cafeteria, and decide that the cost is well worth it. If it fits your goals and employees love it, rock on. But if there's a question about the value, look closer. One of the signs above alone may not be a reason to kill a benefit. Two or three of them together are a clear indicator that something's not right. Whether it's an AWOL provider or a cultural misfit, a bad benefit can do harm to your employee engagement and your bottom line. *But* do your due diligence first. Otherwise you risk a mutiny (here's how to avoid that), or perhaps even worse, sending out signals that the company is in financial dire straits. Once you've put in the effort to investigate, don't hesitate to send a benefit to the scrap heap. It's not worth it. You could have something meaningful in its place. Like helicopter rides, or an open bar. Or maybe something a little more reasonable.